Canada introduced a public policy that will help certain foreign nationals affected by Trump's order to apply for temporary status in Canada. Here's three main contexts. The Canadian government through the Immigration, Refugees and Citizenship Canada (IRCC), who are responsible for immigration and refugee affairs in Canada, introduced a temporary public policy that will help certain foreign nationals affected by the Executive Order signed by the United States president Donald Trump on January 27, 2017. 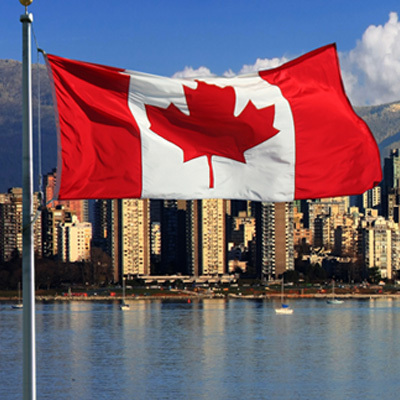 Through the temporary public policy, the Canadian government will allow foreign nationals affected by the US Executive Order to extend their stay or to apply for temporary status in Canada. Under the US Executive Order, citizens of Iran, Iraq, Somalia, Libya, Yemen, and Sudan are banned from entering the US for a 90 day period. Whereas, citizens of Syria are barred from entering the U.S indefinitely. The IRCC also states that the temporary public policy will be in place until April 30, 2017. If a foreign national had made travel arrangements to enter the United States and is not able to do so, he or she may be eligible to apply for a Temporary Resident Permit (TRP) without paying the processing fee. For eligibility, the foreign national is required to hold a visa or other document normally required to enter the U.S. The individual must not be inadmissible to Canada for any other reason apart from the fact that they did not obtain a Temporary Resident Visa. If a foreign national had made travel arrangements to enter the United States and is not able to do so, the individual may be eligible to apply for restoration of temporary resident status without paying the processing fee. The IRCC also seeks to clarify that foreign nationals affected by the U.S Executive Order will still be required to meet the eligibility and admissibility criteria that are already in place and are not part of those modified by the temporary public policy.